Pick up the pace in the Aetrex Women's Ozone Pink. 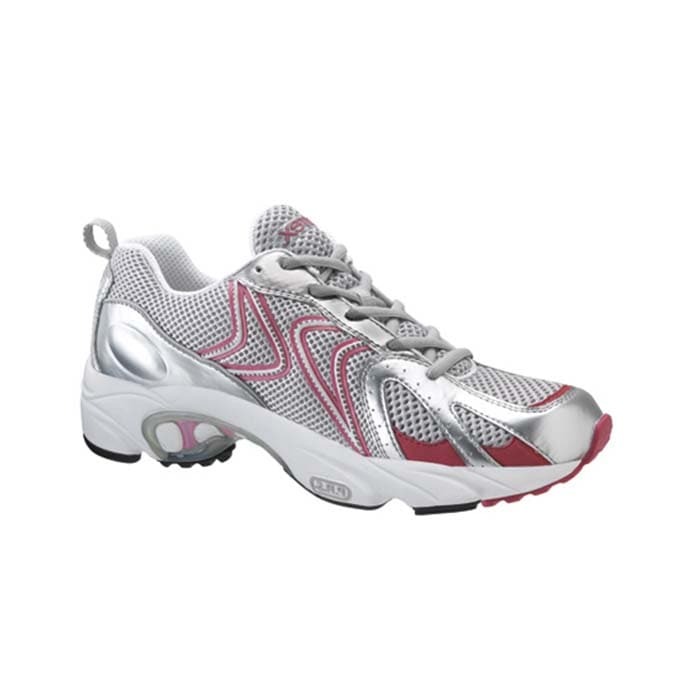 The Aetrex Women’s Z589W Ozone Pink Running Shoes combine innovative customization technology with shock absorption. Designed especially for feet with high arches. This running shoe gives you plenty of cushioning, thanks to the shock-absorbing Sky™ EVA midsole. One removable layer provides fitting flexibility. A pressure relief insole with Mozaic™ Customization Technology, allow you to customize your fit by peeling away squares of the insole to relieve areas where you feel the most pressure or discomfort..